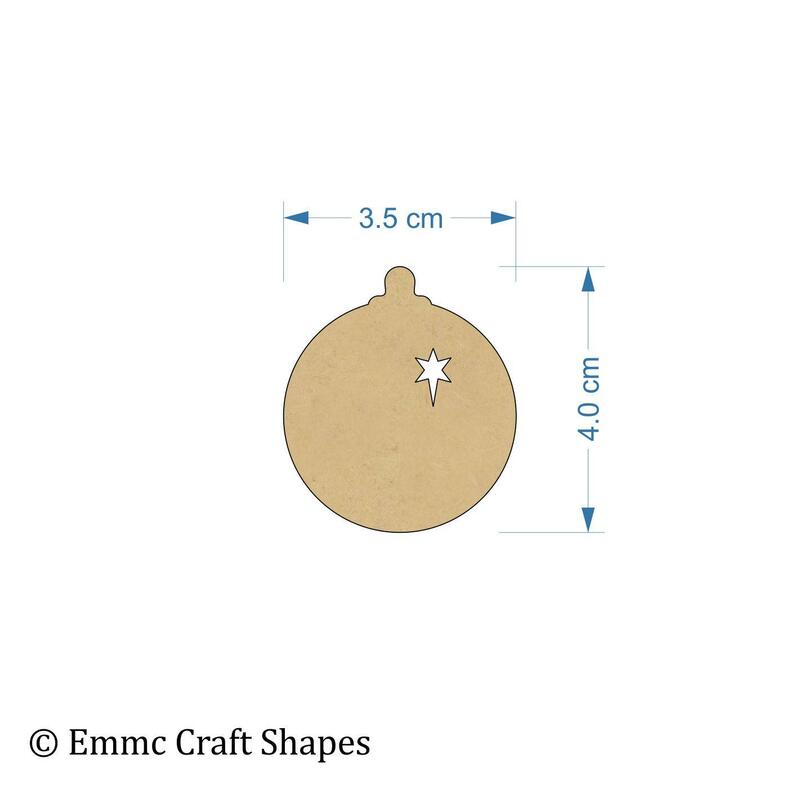 Please Note - Mini Baubles (2 cm) are not available with hanging hole or star cut outs. 3mm thick mdf craft shape. 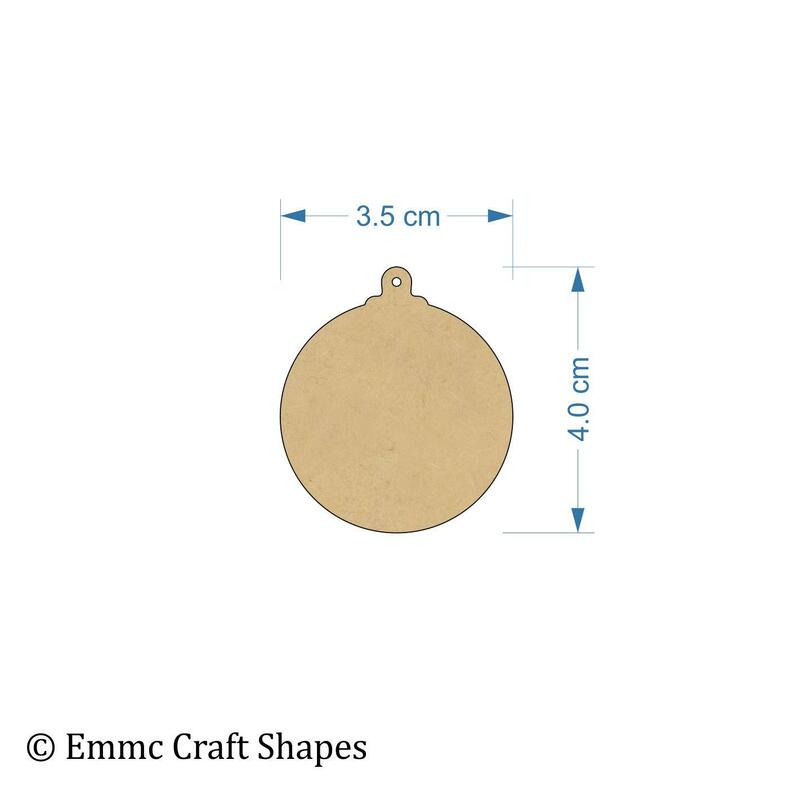 Our 3mm MDF bauble cut outs are available in 3 sizes and are ready for you to craft into all things Christmas. 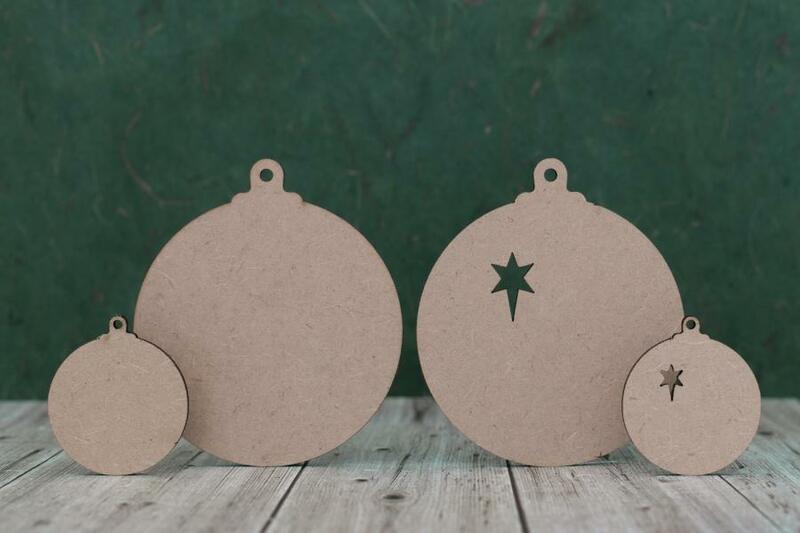 Paint them in traditional Christmas colours, add lots of Christmas sparkle with glitter or gems, personalise them for family, friends and loved ones or hang them from your Christmas tree. 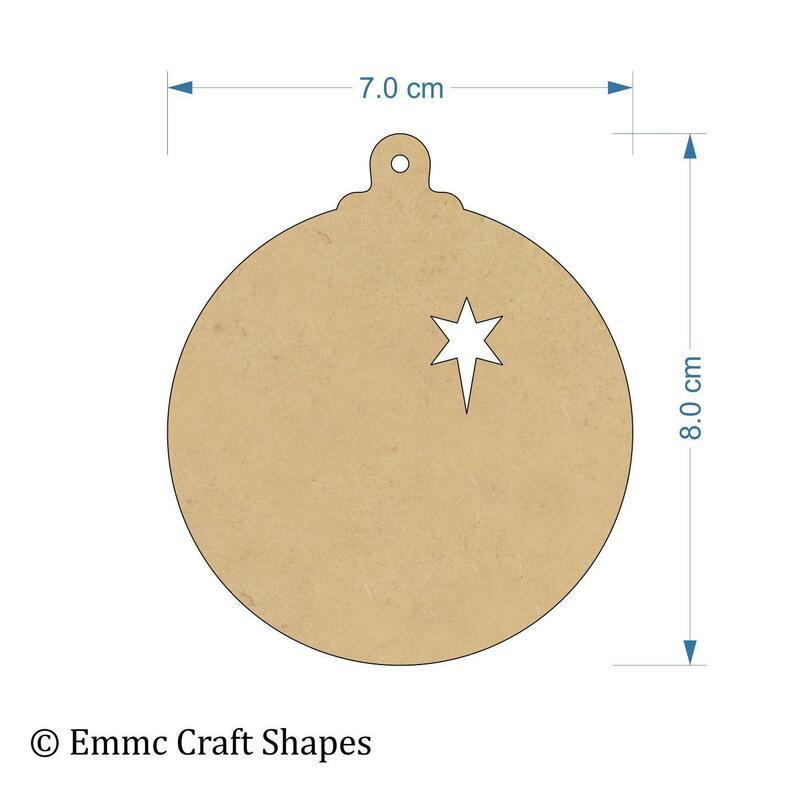 You can choose to have a hanging hole and a star cut out on your bauble cut out.